Online banking (also known as internet banking) is a web-based method of banking that enables customers of a bank to complete their own bank transactions and related activities on the respective bank's website. By registering as an online customer with your bank (or a new bank), you'll gain online access to virtually all of the most common services your bank offers at its local branches. Despite the growing popularity of online/internet banking, not everyone is convinced that it's worthwhile to make the switch from traditional banking at a branch. To inform you of the benefits, here are the top seven reasons why you should consider giving online banking a try. The most obvious benefit of online banking is convenience. Unlike local branches that are only open during certain hours of the day, online banking is accessible around the clock whenever you need it. There's also no need to waste time commuting to your local branch or standing in line to wait your turn to speak to a bank teller. When you bank online, you can save loads of time by doing it all on your own schedule — even if you have as little as five minutes to sign into your bank's website and pay a bill. You get to be your own bank teller when you bank online. As long as you understand the basics of using the web to complete simple tasks, you should be able to navigate your bank's website pretty intuitively to make your transactions. 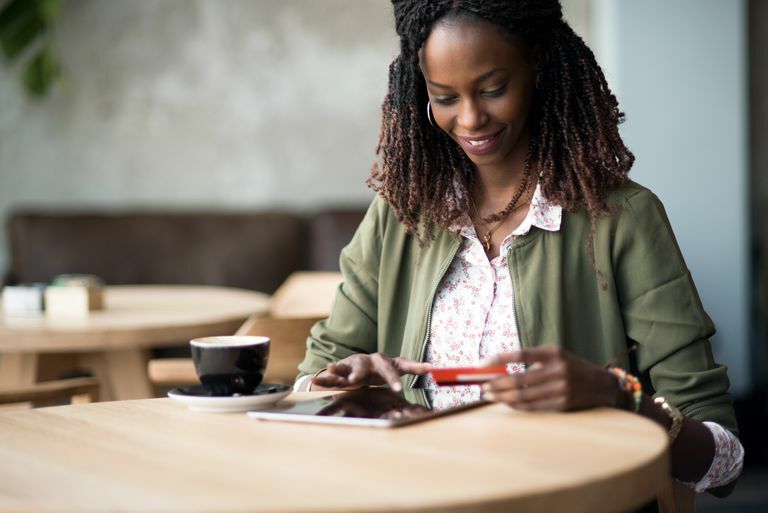 In addition to using online banking for basic transactions like bill payments and transfers, you can take advantage of several additional services you might assume could only be done by visiting your local branch. For example, opening a new account, changing your account type or applying for an increase on your credit card limit can all be done online. When you visit your bank in person and get a teller to do all your banking for you, you never get to see much of anything except what appears on your receipt. With online banking, however, you get to see exactly where your money is right now, where it already went and where it needs to go. Decreased overhead costs associated with the virtual nature of online banking allow banks to offer their customers greater incentives for banking online with them. For example, some banks charge no fees for online savings accounts that maintain a minimum balance. Many online-only savings accounts also offer higher interest rates in comparison to banks that maintain local branches. You may want to check out Bankrate's list of savings account rates if you're interested in taking advantage of higher interest rates with your online banking. There's no need to wait for your bank statements to arrive in the mail when you opt out for paperless e-statements instead. There's also no need to make room in your home for physical storage with all of your transactions available to you online. Many banks allow you to view e-statements for periods dating several years back in time with just a few clicks of your mouse. And as an added bonus that's totally unrelated to banking, you'll be doing the environment a big favor by cutting back on paper consumption. When you sign up to receive e-statements instead of paper statements, your bank will most likely set up an alert to notify you by email when your e-statement is ready to view. In addition to e-statement alerts, you can also set up alerts for several other activities. You should be able to set an alert to inform you of your account balance, to tell you whether an account has gone above or below a certain amount, to let you know when your account has been overdrawn and to notify you when you've almost reached your credit limit. You can even go beyond the basics by setting up alerts for when a bill payment have been processed, when a check has been cleared, when future-dated transactions are coming up and so much more. Banks take security very seriously and use a range of security tools to keep your information safe. Your information is encrypted to protect it as it travels over the web, which you can verify by looking for the https:// and the secure padlock symbol in the URL address bar of your web browser. If you become the victim of direct financial loss due to unauthorized account activity, you will be fully reimbursed if you notify your bank about it. According to the FDIC, you have up to 60 days to notify your bank of unauthorized activity before you risk unlimited customer liability. The only major drawback to online banking is that there can be a learning curve to getting the hang of it, and with no bank teller or manager around to help you when you're on your computer at home, trying to figure out something you're stuck on can be frustrating. You can refer to your online bank's Help Center or FAQ page or alternatively look for a customer service number to phone in if your issue needs to be addressed by speaking directly to a bank representative. Ready to buy a new car with a great price? Try an online car auction! Should You Have A PayPal Account? What Is 'Clownshoes' In Online Jargon? I Just Fell For a PC Support Scam, Now What?